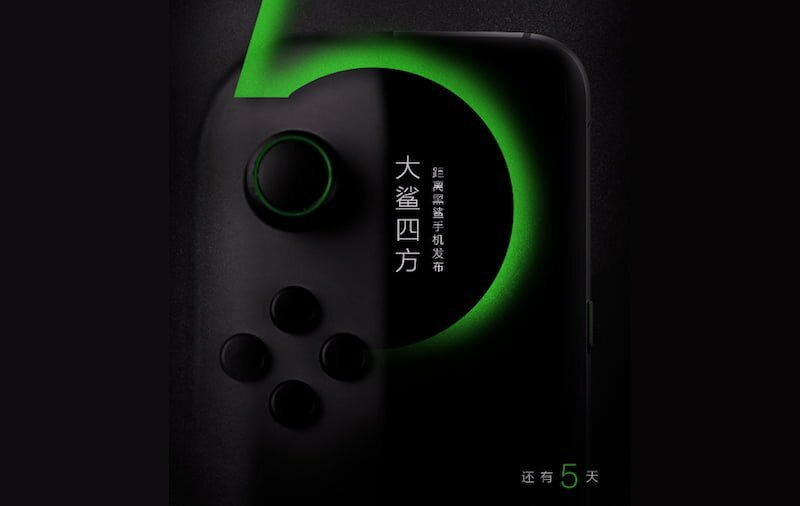 Xiaomi’s backed Black Shark is set to debut a gaming smartphone on April 13. 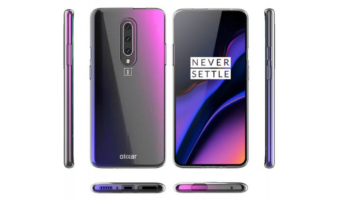 In the run-up to the launch, there have been a number of leaks and teasers surrounding the phone which have given more information on its design and specs. A Weibo user shared a real-life image of the upcoming Black Shark smartphone. 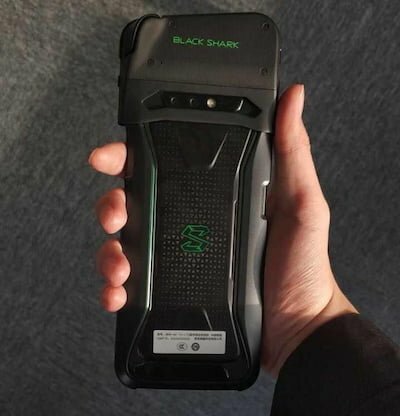 The leaked image shows the back side of the smartphone, and there is “Black Shark” logo in green. The phone apparently sports a rugged plastic design and the rear view sports a dual rear camera along with LED flash. Upon the top, the device is seen with add-on accessories which would offer Nintendo switch like joystick experience. Unlike most of the smartphones, the Black Shark smartphone will not come with a slim design frame. Instead, the rugged shell hints the device will house a hefty battery, most likely a 4000mAh capacity or more. 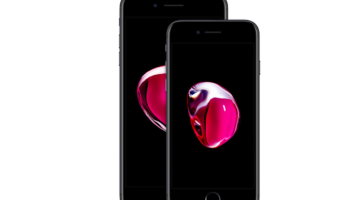 The phone is also expected to have IP68 certification for water and dust resistance, considering its build. In a separate leak, a tipster revealed the design sketches of the smartphone. The device is shown using “X antenna” technology, something which the company itself had hinted on April 1. The schematics reveal the curved corners of the device with GPS, Wi-Fi, LTE, and MIMO networks placed correspondingly across the four corners. The technology will make it easier for the wireless signals to work in the device even if it is encased in a gaming case or something of that nature. Another teaser of Black Shark from Xiaomi itself shows the curved edges and half of the display. The power button is too visible which sits on the right side of the device. Previously, the company had confirmed the device runs the Qualcomm’s top of the line Snapdragon 845 mobile platform. Previously, an AnTuTu listing tipped the Xiaomi-backed Black Shark smartphone will pack a 6-inch FHD+ (1080×2160) display with an 18:9 aspect ratio. The display will also come with 120Hz refresh rate and HDR support. 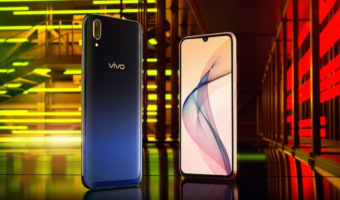 The device is also listed with 8GB of RAM and 32GB of onboard storage. Similarly, a listing on Geekbench highlighted that the new handset would run Android 8.0 Oreo and include 8GB of RAM. There haven’t been many gaming-centric smartphones in the past, and Black Shark appears to be taking on the last year’s Razer phone. More details are expected when the phone releases this week.